Ah, summer. That wonderful time of year when children are off of school, the days get longer, and bookworms find a great big pile of books to stick their noses into. It's this last point which inspired me to write this post. I've read a lot of books this past year, especially indie books. This probably has something to do with my joining Goodreads last summer (click here to find me there!). I've come across some absolute gems, so for you book lovers who are ready to be blown away, I've compiled a list of my top five indie children's books I've read this year (plus one adult book for authors, because it was so amazing I couldn't resist sharing it). So here they are, in order of their age range. 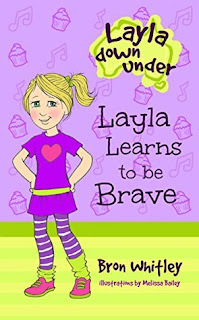 Layla Learns to be Brave is the first book in the Layla Down Under series (well, it's actually the second one, but it was published first). Despite being *ahem* a little too old for this book, I absolutely loved it. 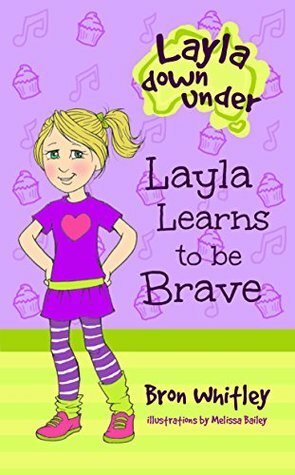 Layla is a lovable, spunky character. The illustrations are adorable. The book is extremely well-edited. And of course, the story is wonderful. It really ticks all the boxes, and it's one of those rare indie books which is completely indistinguishable from a traditionally published one. Oh yeah -- you can also get it for free through Bron Whitley's website. It really is perfect. Read my full review on Goodreads here. 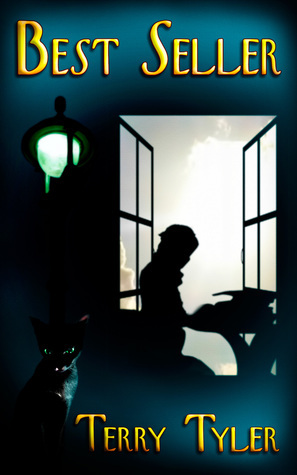 Get the book free on the author's website here. 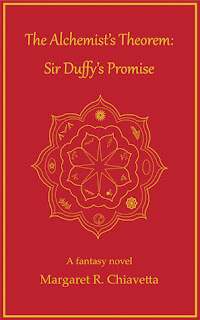 This book contains seven fairy tales, all adapted from some of Andrew Lang's Fairy books. I love fairy tales, and I loved this book. It's as simple as that. I also couldn't help but notice that 'princesses' is before 'princes' in the title. Also, each of the fairy tales contains at least one female character who is the hero in some way. 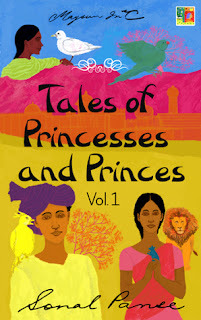 Maybe it's not as feminist as Shannon Hale's princess stories, but it's a good start. Be strong, ladies! Gita V. Reddy is one of the first authors I reviewed when I first got my Goodreads account, and she's quickly become one of my favorite authors. I love all of her books that I've read, but my absolute favorite has got to be The Hunt for the Horseman. The story is about Sandy, a twelve-year-old girl who goes to her annual family reunion at Amrita Mahal. Every year at this reunion, the children of the family go on a hunt for an ivory horseman that one of their ancestors supposedly hid somewhere in the palace. Unfortunately, it could be the last time they have a reunion there, as a group of con men known as the 'Land Mafia' are trying to get the palace for themselves. So ... they'd better hurry up and find that horseman! 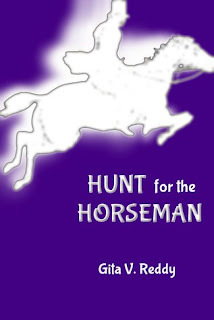 The Hunt for the Horseman is a brilliant MG mystery. There are a lot of references to Indian food and culture, but they are all explained. It keeps you guessing, and the conclusion is immensely satisfying. If you're going to read any of the books which I'm listing here, you'd better read this one. 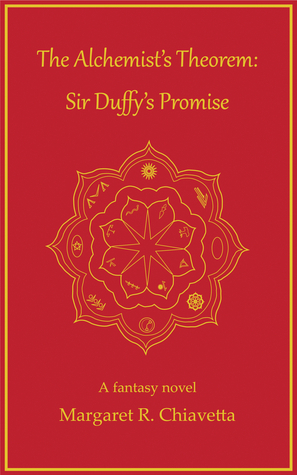 This book is a straight-up fantasy -- mystical realm, fantastical creatures, magic potions, death-defying quest, the works! I loved reading about the weird and wonderful animals, like the talking rabbits who speak a simplified version of English, or the slug-like cappamorph who can shapeshift into whatever form it likes. The mechanics of alchemy was also really interesting to read about. But the best thing of all was the protagonist, Mendel. Mendel has autism, and because of this, he has the ability to remember everything he learns by writing symbols in the air. I loved that his autism was treated almost as a superpower, rather than a disability. Basically, if you're a fantasy fan, you MUST read this book. It's unique, it's funny, it's heartwarming, and it's just perfect for middle grade readers and for adults who never grew up. Okay, so I kind of cheated on this one, because this is four books, not one. But I'm the one writing this post, so I make the rules *evil laugh*. Anyway, the basic premise of the ARC series is that an asteroid has crashed into the earth, carrying with it an alien mineral which mutates the cells of human beings. To escape the mutation, humans must live underground in ARCs, or Asteroid Refugee Compounds. Every few months, each person is tested to see if they are mutating. If the test comes back positive, the person is tainted, and they are taken ... somewhere. Nobody knows where. But nobody who is tainted ever comes back. I can't say anything more because of spoilers, but this series is COOL. Especially the second book. I felt like the third was a bit of a letdown, but the fourth and final book, Destined, comes out this August, so I'm keeping my fingers crossed that it's going to be good. Read my full reviews of Tainted, Talented, and Fractured on Goodreads. Find the first book on Amazon here (it's free. Did I mention that?). Update 08/29/16 -- Destined is now available, and it was a perfect series ender. You can find my Goodreads review here. This isn't really a kids' book, but I know that a lot of people who read this blog are authors, so I thought I'd put it in here anyway (you're welcome, guys ;D). 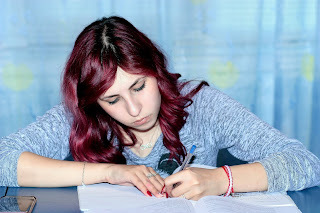 Plus, I'm writing this post, I make the rules, et cetera. Best Seller is about three different authors and their different publishing journeys. But there's also intrigue, suspense, and a moral dilemma which can be summed up as: is it ever okay to pass someone else's work off as your own? Also, it features self-published authors, which is something I've never seen in a book before. Even in a self-published book. I'm not exaggerating when I say that Best Seller is easily in my top five favorite books of all time. If I could give it six stars, I would. And that's it for my five (actually eight, with the ARC series ... actually nine, counting Best Seller ...) indie children's books that you MUST read this summer. If you know of any indie books which you think should be on people's reading lists, please do share in the comments!